← The Death of Amy Robsart: Accident? Or Suicide? As Hales makes clear himself, he repeats what was widely talked. This talk was later elaborated upon by the anonymous authors of Leicester’s Commonwealth, a Catholic propaganda libel against Robert Dudley, then Earl of Leicester and the most exalted patron of a militant Protestant foreign policy. The political context of this 1584 work is to be seen in the events leading up to the final nemesis of Mary Queen of Scots. The satirical tale in Leicester’s Commonwealth need not be taken seriously, if only for its scurrilous and manifest errors: Sir Richard Verney goes himself to Amy’s house and forcibly sends her servants away (! ), before he breaks her neck and places her at the foot of the stairs (no head wounds, here). She is buried twice over, first secretly at Cumnor Parish Church, then at Oxford – so that her husband may play the grieving widower. Meanwhile, the inquest’s verdict is: murder! Sir Richard Verney was never arrested or otherwise molested by the authorities, which seems odd if his crime was common knowledge; however, Amy Dudley had lived at his house at Compton Verney in Warwickshire a year earlier for some time, before she moved to Cumnor. Hales claims he came to court after the deed, and indeed he may have been on his way from Warwickshire to the London area, and may even have been seen passing through Abingdon – a possible explanation of why he became associated with the tragedy in what today would be called the tabloid press. Nicholas Throckmorton, incessantly writing home from Paris against a possible Dudley marriage of the Queen, nevertheless thought well of Lord Robert’s person, as he explained to Cecil: ‟I do like him for some respects well, and esteem him for many good parts and gifts of nature that be in him“ – it was just the scandal that was jeopardizing England’s overseas prestige, he maintained.18 When Throckmorton’s first hysterical reports had arrived, his friend Henry Killigrew replied: ‟I cannot imagine what rumours they be you hear there, as you write so strange. Unless such were here of the death of my Lady Dudley; for that she brake her neck down a pair of stairs, which I protest unto you was only done by the hand of god, to my knowledge.“ After a few weeks he could imagine the rumours and added that ‟the Queen says she will make them false.“19 In the end, Killigrew advised Throckmorton to stop his frantic warnings lest they be seen as signs of his private ambition rather than his care for the good of the state.20 Elizabeth herself told his messenger Robert Jones to his face that ‟the matter had been tried in the country, and found to be contrary to that which was reported saying that he was then in the court and none of his at the attempt at his wife’s house, and that it fell so out as should neither touch his honesty nor her honour.“ The word attempt has caused raised eyebrows,21 while the preceding words are easily overlooked: none of his. If taken literally, the Queen would have been referring to an assault by a third party; but the likelihood is that it was a slip of the tongue or that the over-assiduous Jones – having already made Elizabeth laugh when he warned her that Robert Dudley’s father, the Duke of Northumberland, had hated her even more than he had her sister Mary – misrembered her words, as does happen all the time when one reports the speech of other people by memory. If Appleyard had really known anything interesting about his half-sister’s death, would not Robert Dudley have found means to remove him from the scene entirely? After a murder there often follow strange and convenient deaths of potential witnesses. Why could the supposed killer Verney live out his days in peace? Would not have Dudley have him prosecuted or at the least – killed? He died in 1569 in his bed. Verney’s son George was a spendthrift (‟the unthrift“, calls him Leicester) and when he died he left a young child for whom the Earl desperately wanted to have the wardship from the Master of the Court of Wards, William Cecil. Uncharacteristically for the system, this wardship brought with it only costs for the guardian and Leicester involved himself very personally in saving the young Edward Verney’s inheritance from ruin.42 Leicester (who was fond of children) was apparently watching over his upbringing: ‟Sir John hath great care in bringing him up, and so have I chiefly, till he be a little bigger to go to some other place to get more knowledge“.43 This means a certain closeness to the Verneys, though hardly repayment for a murder done 15 years earlier. Edney, with my hearty commendations this shall be to desire you to take the pains for me as to make this gown of velvet which I send you with such a collar as you made my russet taffeta gown you sent me last, & I will see you discharged for all. I pray you let it be done with as much speed as you can & sent by … the carrier of Oxford, & thus I bid you most heartily farewell from Cumnor this 24th of August. It has been argued that a woman who writes such a lively, normal letter can neither be ill nor depressive, and therefore she cannot have killed herself just 15 days later, and since an accident is statistically unlikely she must have been murdered. Something is missing in the equation: The statistical improbability of murder. It would arguably have been the only case of high society wife-killing in England during the entire 16th century. 45 Lovell 2006 p. 265. In a letter to the Earl of Shrewsbury, 25 June1577. Calendar of … State Papers Relating to English Affairs … in … Simancas, 1558–1603. (ed. by Martin Hume, 1892–1899). HMSO. Calendar of the Manuscripts of … The Marquess of Salisbury … Preserved at Hatfield House, Hertfordshire. Volume I. (1883) Historical Manuscripts Commission. HMSO. Report on the Pepys Manuscripts Preserved at Magdalen College, Cambridge. (1911) Historical Manuscripts Commission. HMSO. Manuscripts of The Marquess of Bath Volume V: Talbot, Dudley and Devereux Papers 1533–1659. (1980) Historical Manuscripts Commission. HMSO. Adams, Simon (ed.) 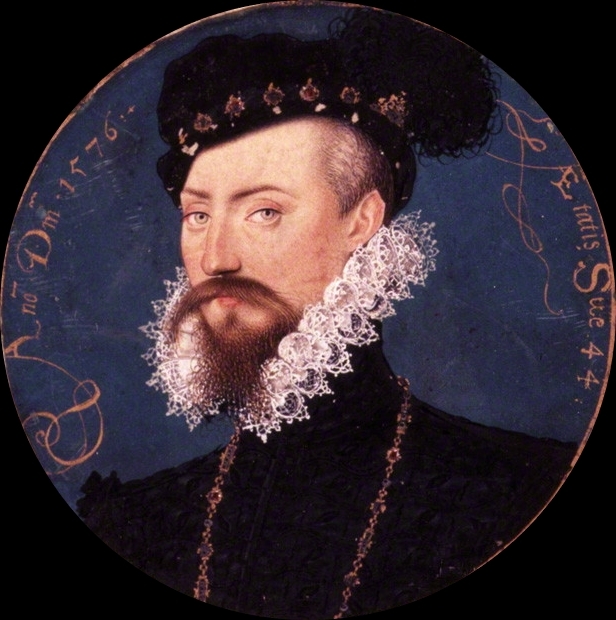 (1995): Household Accounts and Disbursement Books of Robert Dudley, Earl of Leicester, 1558–1561, 1584–1586. Cambridge University Press. Adams, Simon; Archer, Ian; Bernard, G. W. (eds.) (2003): ‟A ‘Journall’ of Matters of State happened from time to time as well within and without the Realme from and before the Death of King Edw. the 6th untill the Yere 1562“ in: Ian Archer (ed. ): Religion, Politics, and Society in Sixteenth-Century England. Cambridge University Press. Adlard, George (1870): Amye Robsart and the Earl of Leycester. John Russell Smith. Bernard, George (2000): Power and Politics in Tudor England. Ashgate. Gristwood, Sarah (2007): Elizabeth and Leicester: Power, Passion, Politics. Viking. Haynes, Alan (1987): The White Bear: The Elizabethan Earl of Leicester. Peter Owen. Hume, Martin (1904): The Courtships of Queen Elizabeth. Eveleigh Nash & Grayson. Lehmberg, Stanford (2004): ‟Throckmorton, Sir Nicholas (1515/16–1571)“. Oxford Dictionary of National Biography. Oxford University Press. Loades, David (2004): Intrigue and Treason: The Tudor Court, 1547–1558. Pearson/Longman. Loades; David (2009): The Tudor Queens of England. Hambledon Continuum. Lovell, M. S. (2006): Bess of Hardwick: First Lady of Chatsworth. Abacus. Skidmore, Chris (2010): Death and the Virgin: Elizabeth, Dudley and the Mysterious Fate of Amy Robsart. Weidenfeld & Nicolson. Williams, Neville (1964): Thomas Howard, Fourth Duke of Norfolk. Barrie & Rockliff. 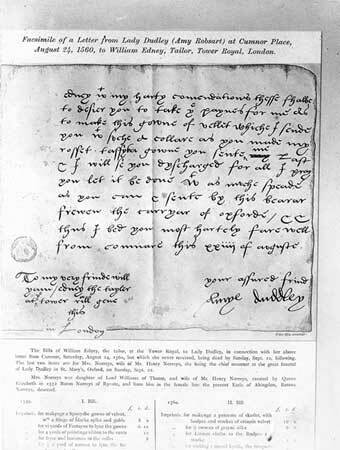 This entry was posted in Amy Robsart, Elizabeth I, Robert Dudley, sources & historians and tagged ambassadors, Anthony Forster, Henry Sidney, John Appleyard, murder, Nicholas Throckmorton, Richard Smythe, Richard Verney, William Cecil. Bookmark the permalink.